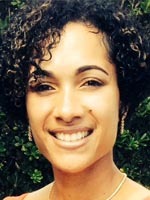 Junita Woolridge is the 2009 Duperreault Fellow. Junita commenced a career in the Civil Service in 2004, equipped with a Bachelor of Science in Criminology, minor in Psychology, and Master of Social Work. Her initial engagement in the Civil Service was at the Residential Treatment Services, as a Social Work Assistant, working with juveniles aged 13 to 18 years old. Subsequent to that placement, she was afforded the opportunity to work for the Department of Family Services as a Social Work Assistant and servicing a greater population within the community. For the past eight years Ms. Junita has been working as Probation Officer/Case Manager for the Department of Court Services. In 2011, she completed her Master's degree. As Probation Officer/Case Manager, she has provided case management for clients sentenced to community supervision; by way of Probation and the Drug Treatment Court Programme. She is currently assigned to the Programme's Team, providing assessment and treatment for clients through individual and group intervention. Junita has worked with agencies that have assisted her in her professional growth, which has provided invaluable learning experiences related to her career development. Working with the Department of Child and Family Services and the Department of Court Services, she has had responsibility for supervising clients of varying ages, racial backgrounds and socio-economic status. Having worked in various sectors of social services in Bermuda, Junita Â has become increasingly aware of the need for professionals and advocates of human services. To this end, she is currently working towards her clinical licensure, with the hope that she can work in a greater capacity within our community.